Sir Henry Yule was a Scottish gentleman and an army man who – among other things – translated in English Il Milione, Marco Polo’s travelogue and indispensable Silk Road narrative. 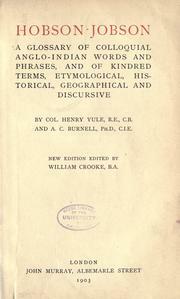 Arthur Coke Burnell (yes, his middle name was really Coke) was an expert in the Sanskrit language, but he was also handy with Tibetan, Arabic, Kawi, Javanese and Coptic. A well-rounded scholar, so to speak. These two fine gentlemen got together and in 1886 published a wonderful book which is called Hobson-Jobson or, to be more precise and wonderfully Victorian, Hobson-Jobson: A Glossary of Colloquial Anglo-Indian Words and Phrases, and of Kindred Terms, Etymological, Historical, Geographical and Discursive. So, yes, the Hobson-Jobson had nothing to do with any gentleman ever named Hobson, or, for that matter, Jobson. Sure, a guy called William Crooke also did some later work on it, but no Jobsons, or Hobsons, at all. Categories: Pulp hero's library | Tags: Arthur Coke Burnell, Henry Yule, Hobson-Jobson, India, Marco Polo, Oriental Stories, Sanskrit, Sherlock Holmes, William Crooke | Permalink. I’m stealing an idea from my friend Claire’s blog, Scribblings, and her creative task for the Future of Storytelling course. 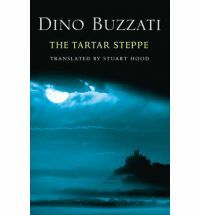 She tells about the effect that reading Dino Buzzati‘s The Tartar Steppe had on her as a reader and a writer. I find her observations quite fitting, and I find Buzzati’s novel a worthy subject for my blog. First, because of its ipothetical Central Asian setting, but secondly and most importantly because I always perceived The Tartar Steppe as a curious take on the adventure novel. The set up is classical: a fortress in the middle of nowhere, a young officer eager to prove his worth, the hanging menace of fierce barbarians that might be just beyond the horizon. This could be the premise of a Central Asian take on Beau Geste, maybe a story out of Oriental Stories, this could be Harold Lamb ready to unleash a storm of action and adventure. Instead, Buzzati uses the classic adventure setting to write about the end of adventure. The Tartars are not coming. The hero is bogged down in the petty feuds of his colleagues, he’s smothered by ennui, he wastes his life away. Buzzati is one of those “serious writers” your literature teacher will not like you to call “writer of the weird” – and yet he is a strong voice in the weird genre, and a darling of my brothers in Lovecraft. The Tartar Steppe deals with the loss a generation felt about the promise of adventure – and was written in 1940, as my country stood on the brink of a new “adventure” which would turn out to be devastating and traumatic. I too felt that darkness, reading the same book. And if you are a fan of adventure stories, of fantasy, the darkness underlying Buzzati’s work can hit you hard. So much so that I was probably influenced by it -but not along the same lines as Claire. To me, the total nothing hanging over the denizens of the fort in The Tartar Steppe is not my theme, but my antagonist – an almost lovecraftian menace my characters implicitly fight, or strive to keep at bay. I guess that’s why Claire’s a serious writer and an appreciated playwright, and I’m a second row pulp hack writing stories with tentacles on their cover. But, really, get yourself a copy of Dino Buzzati’s story – it will be a great read. Categories: Books, Other People's Pulp | Tags: Dino Buzzati, Oriental Stories, Tartar Steppe | Permalink. Female fans of Tom Jones used to throw their hotel room keys (and sometimes their bras) at him, during concerts. My fans sometimes throw books at me – and thank goodness for ebooks, because some of the things they throw at me – often selected from my Amazon wish list – would be hefty, and potentially dangerous, paper volumes. 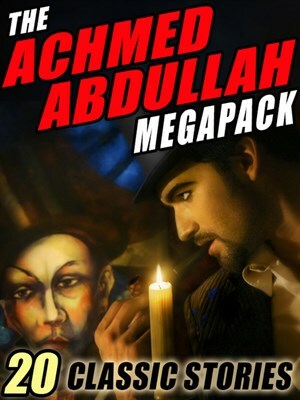 The Achmed Abdullah Megapack, for instance, which landed on my Kindle last night, courtesy of a kind reader of mine (thanks!! ), is a 20-stories collection of vintage pulp goodness that would run to 420 pages in the material world. Enough to knock me senseless. Achmed Abdullah was not his real name – his name was Alexander Nicholayevitch Romanoff, and was connected bybirth with the Czar of Russia. After his mother – an Afghan princess – tried to poison his father – a Russian, cousin to the Czar, and with a penchant for adultery – the resulting divorce caused Alex to move to England. He studied in Eton and Oxford, joined the army and served for seventeen years in Asia and Africa. 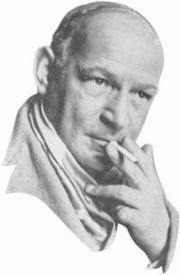 Captured and interned as spy by the Germans during the Great War, he then moved to the US of A, where he started a carreer as a pulp writer and movie scriptwriter. He wrote the script for Douglas Fairbanks Jr‘s 1924 The Thief of Baghdad. And he wrote a lot for the pulps – fantasy, horror, adventure, mysteries – mostly with Oriental or African settings. 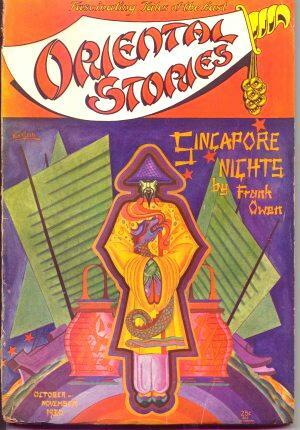 He wrote for Adventure, for Oriental Stories, for Weird Tales. The megapack is – like most Wildside Press Megapacks – nothing fancy: just a lot of great fiction, with a good introduction by Darrell Schweitzer. This is the “I want as much good fiction as possible with me with the least fuss” approach, and I like it. The stories listed cover the whole spectrum of genres and subgenres Achmed Abdullah wrote, and promise long hours of delight. 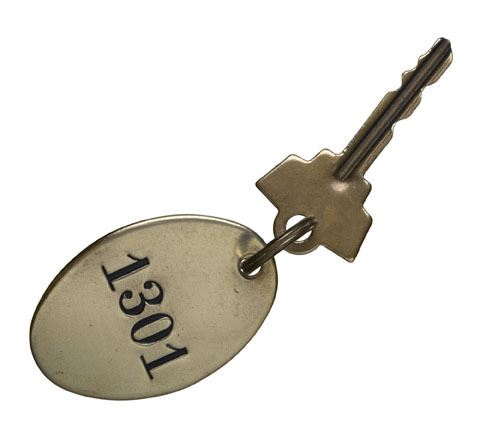 It’s not the key to some lady’s hotel room, but it’s great! Categories: Books | Tags: Achmed Abdullah, Asia, Darrell Schweitzer, Douglas Fairbanks Jr, ebooks, fans, Oriental Stories, pulp | Permalink.